Auburn Hills, Sept. 29, 2014 - Magneti Marelli Holding USA announced that its exhaust system manufacturing plant located in Independence Township, Mich., near Clarkston, celebrated its official opening. The occasion was marked by a brief ceremony for its employees, followed by a family event. “For all its business areas, Magneti Marelli has a footprint that is fitting the key customers’ needs and enables a strategic positioning on the global automobile market” – stated Eugenio Razelli, CEO of Magneti Marelli. “The Exhaust business, with a very significant presence in Europe, South America and, since few years, also in China and India, is now adding an important presence also in the US”. 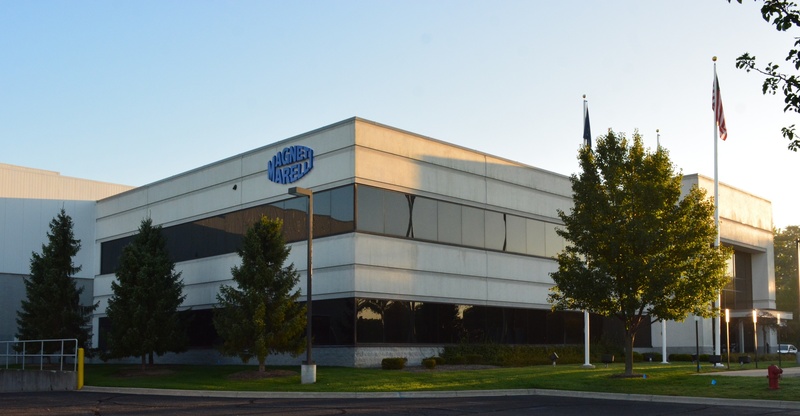 The new plant strengthens Magneti Marelli’s position in North America adding to its competencies that include automotive lighting, powertrain, electronic systems, suspension systems, aftermarket and motorsport. The 100,000-plus square foot plant located in suburban Detroit is the first Michigan manufacturing facility for Magneti Marelli, whose North American headquarters is in nearby Auburn Hills. Employing 75 people, the plant manufactures hot end exhaust manifold integrated with catalytic converters and will reach a production capacity of about 300,000 units per year. All manufacturing operations are performed on site, including forming of the canister in which catalyst materials are inserted, and robotic welding of the various components to create the finished product. The first important project is related to Fiat Chrysler platforms. The plant is also home to Magneti Marelli Aftermarket North America, which is responsible for the "Magneti Marelli Offered by Mopar" All Makes Parts Program. This All Makes program enables Chrysler Group dealerships to service all vehicle makes and models, as well as offer product to independent repair facilities. The Aftermarket division currently has 18 employees.